WhatsApp is the most popular social app used worldwide. It has crossed 1.5 billion users from 180 countries. You can imagine the popularity of whatsapp. It's best feature is a group facility. In a whatsapp group, 256 members can join. It is the best ever platform to communicate with your friends, classmates, colleagues, family members, etc. You can exchange your texts, videos, audio, documents, location, contact in the group. You are creating so many groups on whatsapp. You may see some groups are annoying and don't require to continue anymore. So you need to delete it. But how? The post is all about how to remove whatsapp group. You want to delete unnecessary whatsapp group. Some groups are not active, or some groups are problematic. You want to eliminate those groups permanently. Sometimes it happens as an admin when you delete the group you got deleted, but a group is running. In this case, you need proper guidance to delete whatsapp group. It is easy, but you have to go through the process. 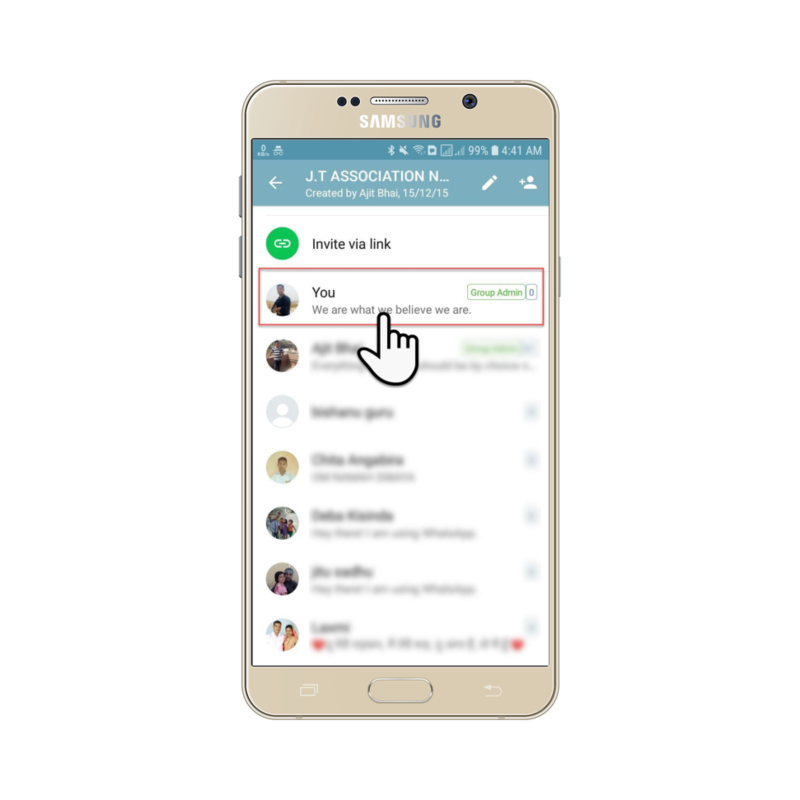 If you are a group member and you want to delete whatsapp group in your whatsapp, then you can do it. If you are an admin and you want to remove a group, you have to follow other steps from members. So friends let's start how to delete whatsapp group. How to delete whatsapp group as admin? You are the creator of the group as an admin. You have the power to make any changes or do something in the group. While it is required to delete the group admin is authorized to do this. When you delete the group, anyone can't communicate with it. You think when you exit the group clicking on exit group button you deleted it. But unfortunately, the group was not deleted. You just exit from the group. The admin power will go to someone randomly in the group. So if you are interested in deleting whatsapp group as admin, you have to follow the steps given below. Let's have it. #1) first open whatsapp group you want to delete for everyone permanently. Click on the group name. #2) when you come to next scroll down your page, and you will see your group participants. #3) now real work is starting. First, you have to remove your all group members one by one. You have the right and power to remove them. So hold on the participant's name and click on remove option. #4) you have to repeat the same remove process until you remove all group members. After eliminating all members, you have to exit the group. #5) when you will exit the group you will get the option delete group. Now delete the group for permanently. How to delete whatsapp group as a group member? Sometimes it is very irritating to stay in a group. Some groups members don't behave their thoughts properly. Always message disturbs you. In some cases, your friends add you to group without your permission. But you don't have interest in it. So to get rid of the group you searched for many solutions. Deleting the group is the best solution rather than mute the group. You can delete the whatsapp group from your phone permanently. So you should read the following steps given below. #1) First of all open whatsapp group you want to delete. Tap on the group name. #2) In the next page you will see an option exit group. You have to click on that. #3) Now you will get three options mute instead, cancel, exit. You need to click on the exit button. #4) You will see you are an exit from the group, but the group is visible to you. That means you are not a group member. You can't participate in group chatting. But still, a group will appear on your mobile. #5) When you will see the exit group option again is changed into delete group. Now you can click on that option for the final touch. Now group is deleted from your mobile. I posted you a very important guide to delete whatsapp group. I hope you follow my steps and do the same. Stepwise instructions will help you to delete group. 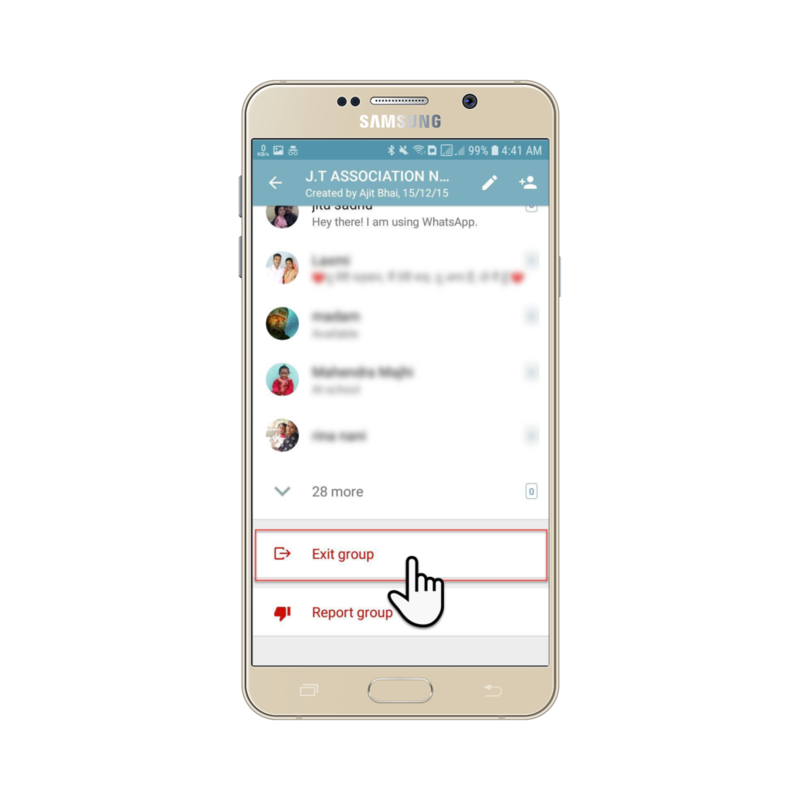 So if you loved how to delete whatsapp group article write us on comments box. Thanks. Kedar Sahoo 52 and 2 others upvoted this.